This post may contain affiliate links, which means I may earn a small commission when you make a purchase through these links. Read the disclosure policy for details. “Eat your veggies!” said every mom ever. We know that we’re supposed to eat our veggies. But do we really eat enough? 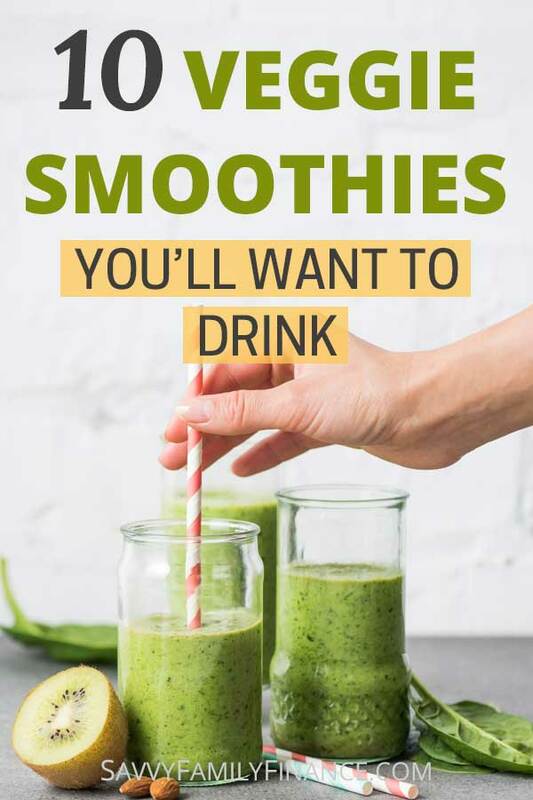 If not, vegetable smoothies may be your answer! Sure, we might have a small side of vegetables at dinner, and maybe a trace of veggies in that burrito we had for lunch. Needless to say, that’s all a bit skimpy on the vegetable front. According to the USDA, we should be getting 2.5 cups, or about 5 servings, of vegetables a day. I don’t know about you, but I didn’t grow up eating that way. Researchers now are saying you should even aim for 10 servings of fruit and vegetables a day (combined). This is why I’ve come to love the genius of vegetable smoothies. And not any veggie smoothie, but vegetable smoothies that taste good. You can make these veggie-based smoothies at home for a lot cheaper than going to your local juice bar/smoothie joint. Because you are in control of the ingredients, you can avoid all the extra sugar and calories. Ready to jump in and make these easy, healthy smoothie recipes? You just need the ingredients and a good blender. One tip I’ve picked up along the way is to first blend any leafy greens with a bit of liquid, then add other solids. This lets the greens break up a bit more to create a smoother smoothie. Want to save time? You can make larger batches and freeze your pre-made smoothies. If using a jar, remember to leave an inch or so of space to allow for expansion. Then move the jar to the refrigerator the night before and give it a good shake in the morning to mix it up again (the ingredients may separate after thawing). Easy! 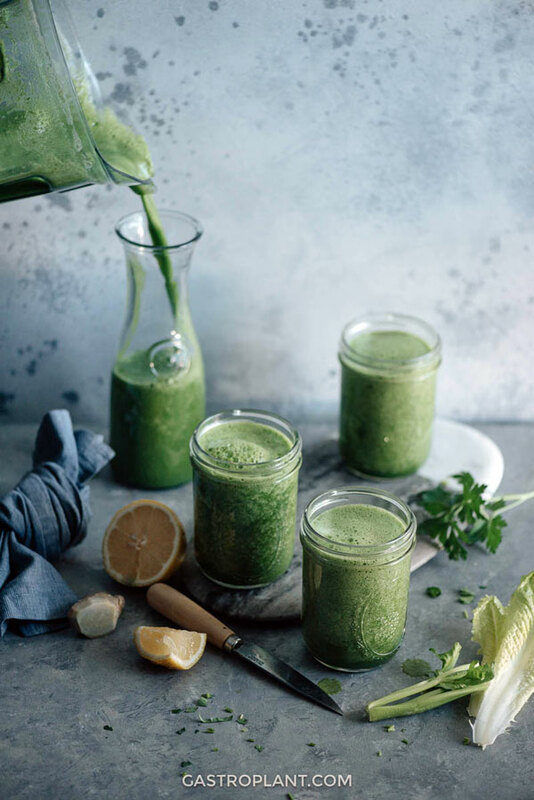 Whether you want green smoothie recipes to help your diet or sneak veggies into your kids’ meals, there is something here for you. Best of all, all of these recipes have at least 2 servings of vegetables per portion. No token spinach leaves here. 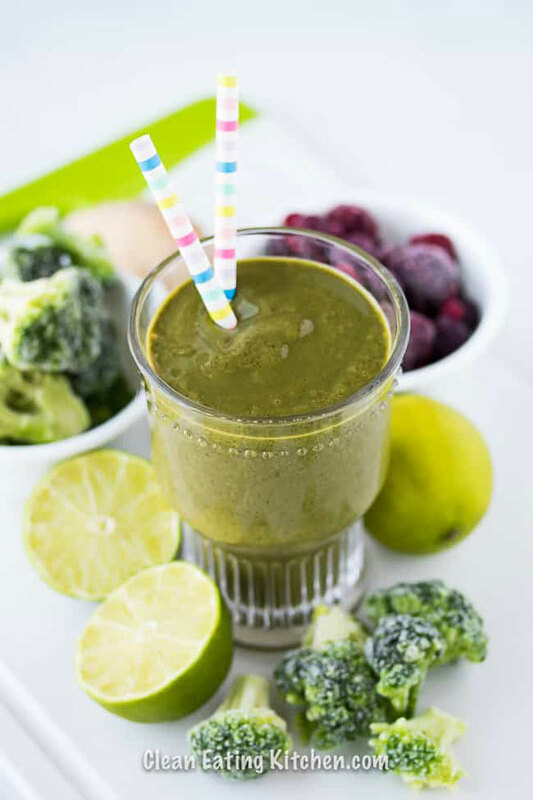 This is a great breakfast smoothie that is full of healthy green vegetables, fruit, and has a good amount of protein (without any protein powder!) as well. Check out how she uses raw broccoli as a surprise ingredient! From Clean Eating Kitchen. This is a refreshing, dairy-free smoothie to start your day off right (or give you a bit of pep in the afternoon). This is a not-to-sweet yet bright tasting drink that won’t feel heavy. From Gastroplant. This smoothie not only provides a couple servings of vegetables but is tasty without any added sugars. Greek yogurt and hemp seeds provide protein that is perfect after a workout. From Diabetes Strong. With all the vegetables in this smoothie, you might be surprised by how sweet it is with just a bit of tanginess. From Living Sweet Moments. Chocolate and peanut butter [powder]? Yes, please! I love that this uses butternut squash for the vegetable which makes it nice and creamy. 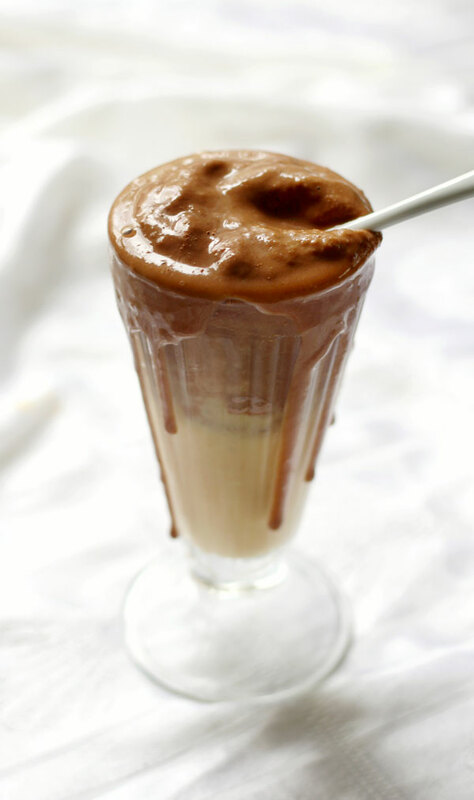 You might even think it tastes like a shake. From Strength and Sunshine. 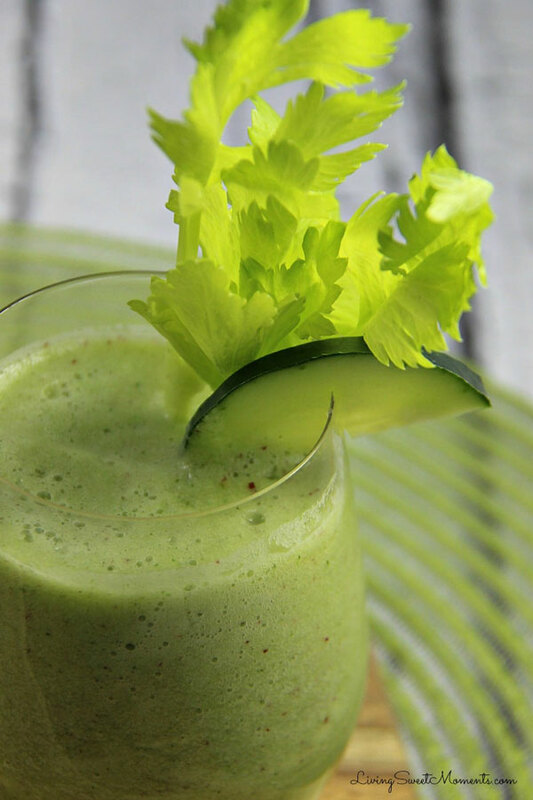 Veggies (and a bit of fruit) come together to make a delicious drink that is loaded with fiber and low fat. Win-win! From Having Fun Saving. I love how bright and cheery this smoothie is! 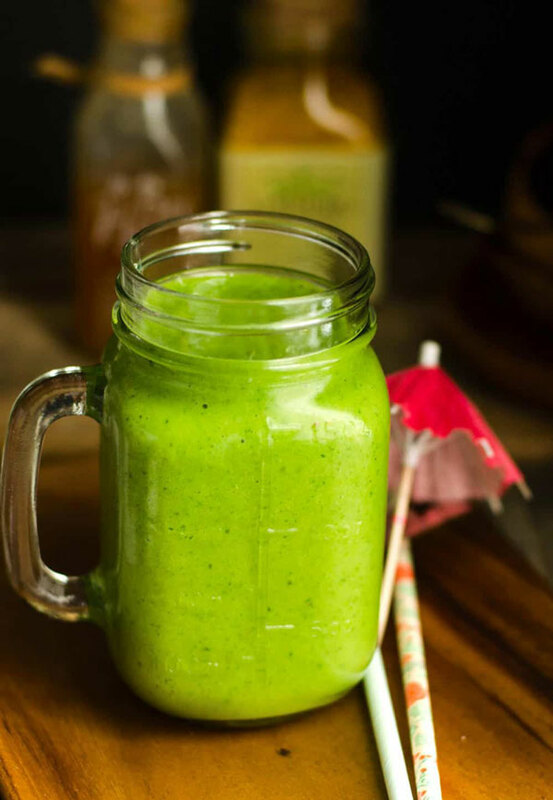 This is a great way to get your greens in with bananas and mango giving the smoothie its sweetness. Yum! From DIY Candy. Do you like beets? If so, give this bright-tasting beet smoothie a try for a nice morning energy boost. Want your smoothies in the winter, but don’t like the cold? 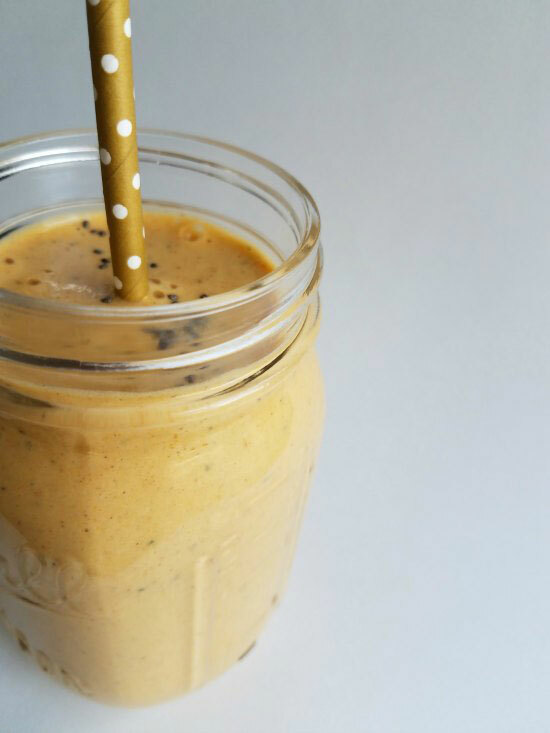 Try this dairy-free butternut pear smoothie to warm you up and start the day off right. 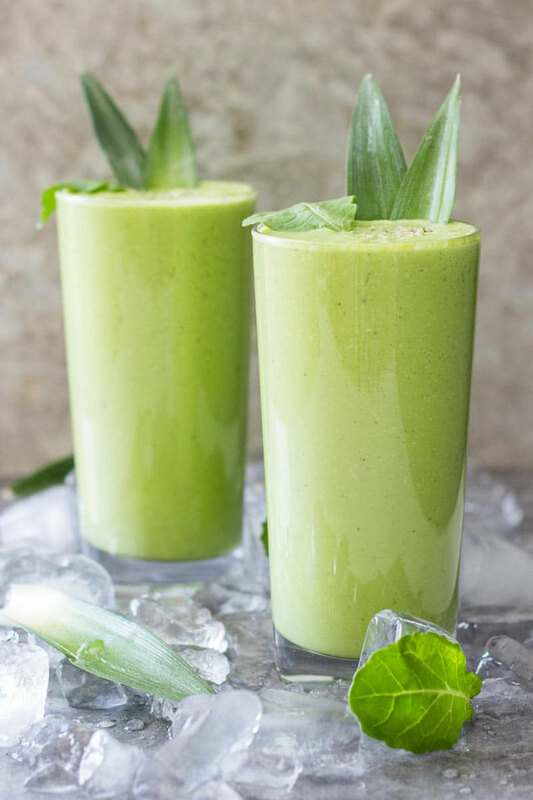 This is the perfect smoothie to make use of abundant zucchini from the garden (or in the freezer). So yummy! I’ve been trying all of these smoothie recipes and they are an awesome way to start the day. Hi, I’m Laura. Here at Savvy Family Finance you will find tips on budgeting, saving, benefits, or even saving money on food and your home. Basically, we talk about the money part of life, and aim to help you easily manage it so you can enjoy life.